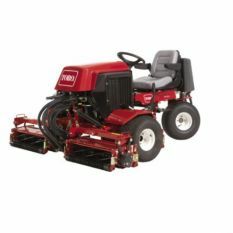 The Reelmaster® 2000-D is an economical choice for a wide variety of precision mowing applications. Considerable power is supplied by a 19 net hp (14.2 kW) HP Briggs & Stratton/Daihatsu® liquid-cooled diesel engine. Choose either a 72in (1.8 m) width of cut or the more productive 85 in (2.2 m) width of cut. Option of 5 or 8 blade reels, with an additional option of an 11 blade reel on the 72 (1.8 m) width of cut. 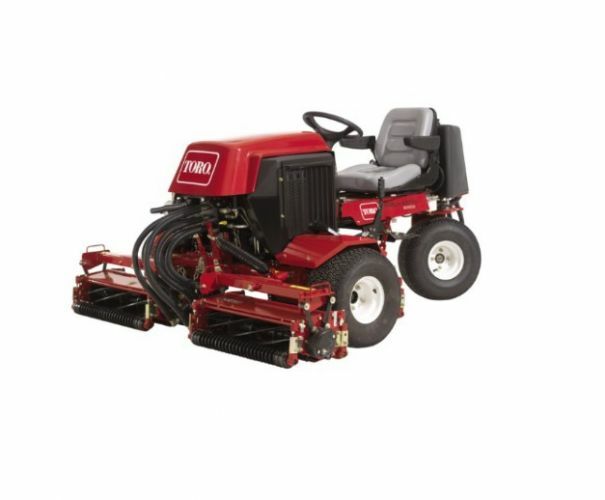 With the manually variable reel speed and a height of cut range from 0.6 cm up to 4.4 cm, these mowers can meet the cutting requirements of any applications. The engine and transmission are isolation mounted to reduce vibration for the operator. An integrated PTO switch includes 3WD engagement to simplify its operation.